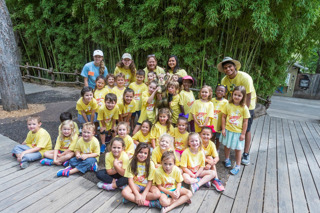 The Fort Worth Zoo’s popular summer camp includes 10 weeks of exciting themed adventures for children ages 3 to fifth grade, featuring wild activities, animal visitors and Zoo excursions. Participants can sign up for any number of weeks they like – one, two or all 10. 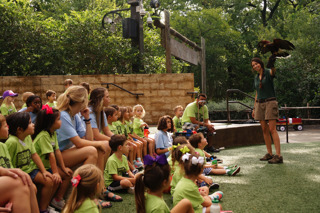 Summer Zoo Camp sessions are offered Monday through Friday all summer. 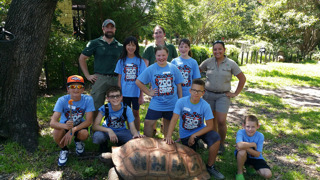 Zoo members receive a 10 percent discount. Summer Zoo Camp is offered in morning sessions for children ages 3 to 4 and all-day sessions for those entering kindergarten through fifth grade. 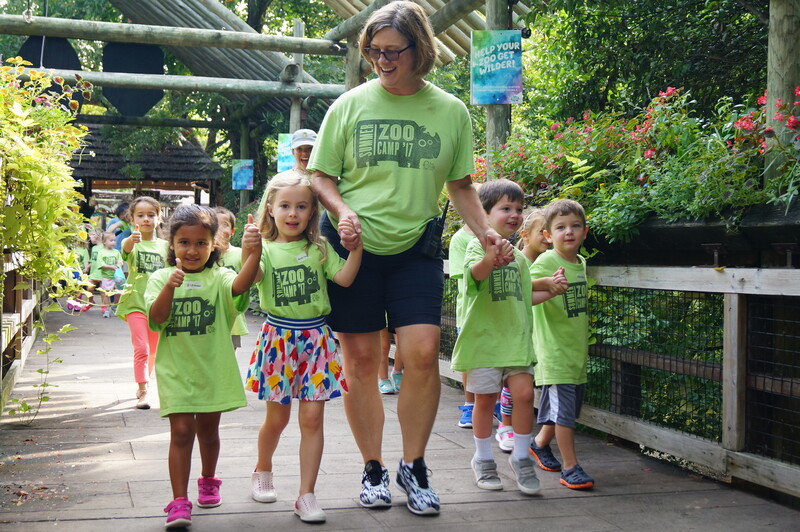 Please note that all Summer Zoo Camp participants must be fully toilet-trained and need no assistance when using the restroom. 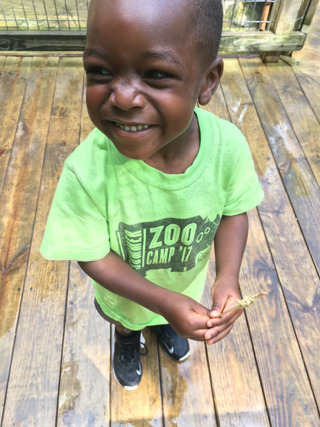 Students will spend a considerable time outside; make sure your child has walking shoes and is dressed appropriately every day for the elements. Questions? 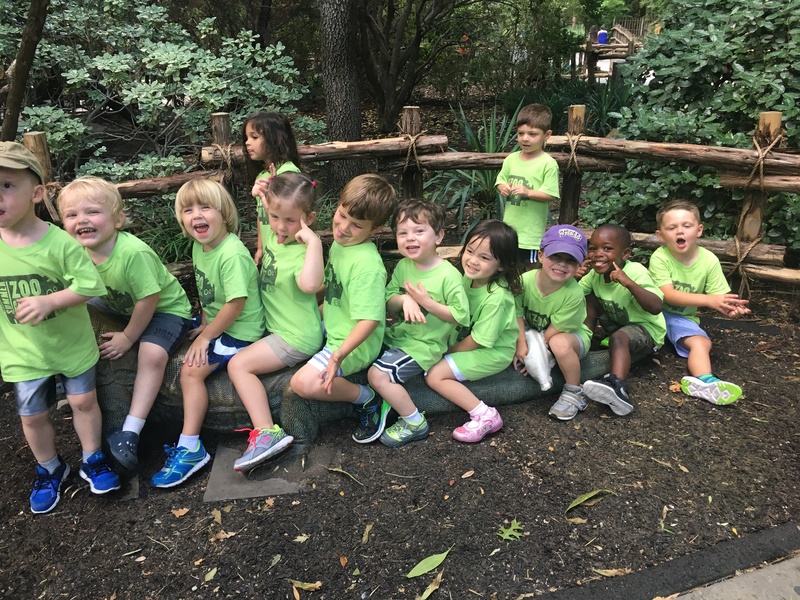 Click here to view Frequently Asked Questions / Parent Handbook. The Fort Worth Zoo offers camps for kids of all ages. Click one of the links below to learn more about camps for middle school and high school students. Click the image below to view more pictures of Summer Zoo Camp fun! 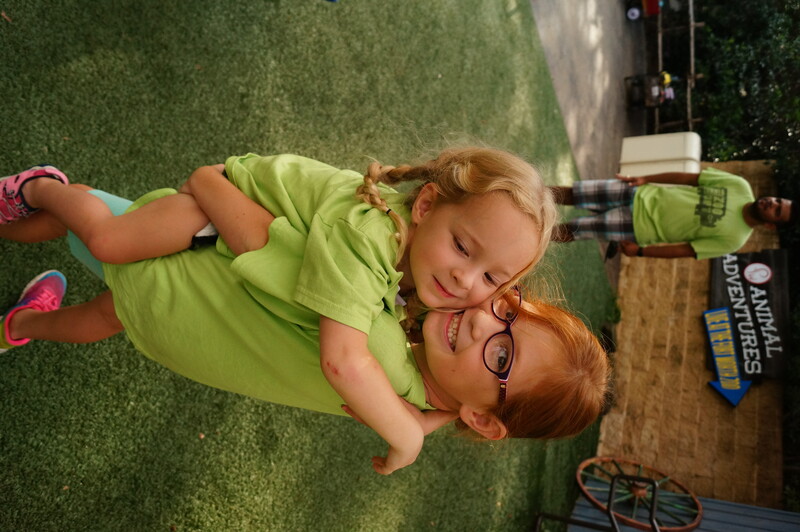 *Before-care is available for all campers. After-care is available for full-day campers only. 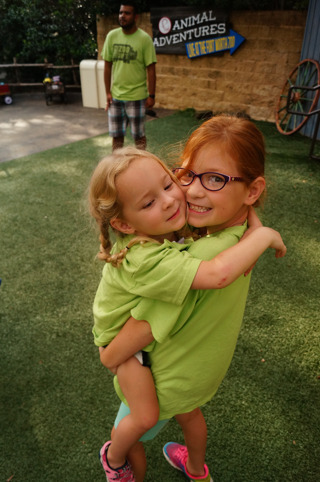 Before-care campers may be dropped off after 8 a.m. and after-care campers must be picked up by 5 p.m. The fees listed below are charged per camper, per week. 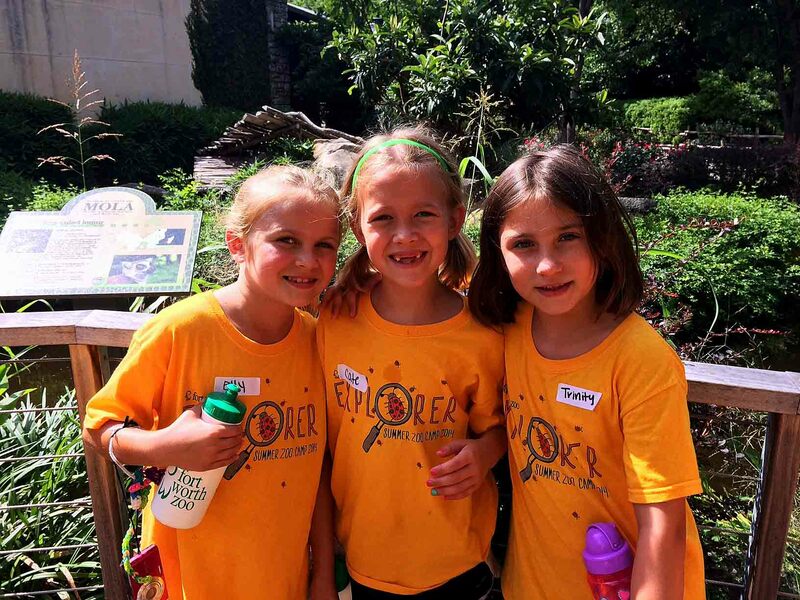 Registration fees include guided Zoo tours, keeper chats, craft activities and a Summer Zoo Camp T-shirt (required to be worn daily). 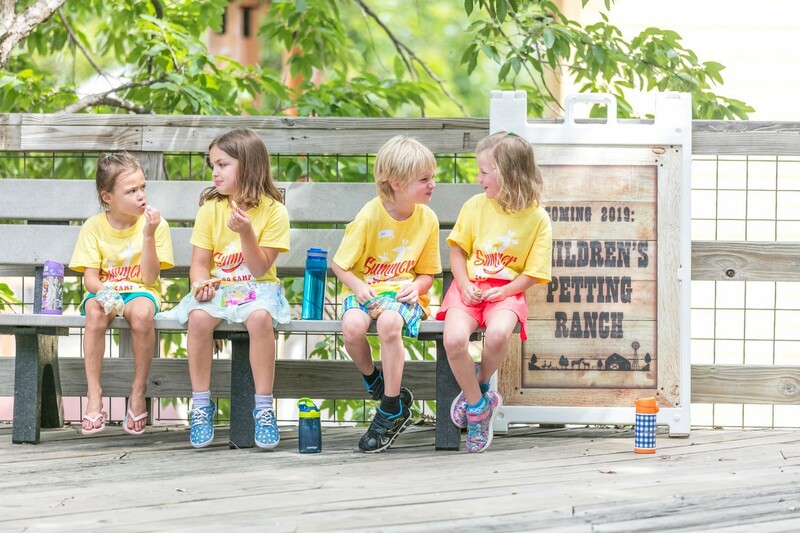 All campers will bring their own snacks and full-day campers will need to bring their own lunch daily. 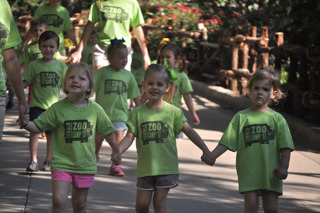 Zoo members receive a 10 percent discount. All age groups will study the same theme each week. 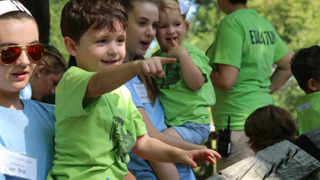 This “littles only” half-day camp will take you down on the farm! Campers will get a chance to meet our newest and cutest residents at the Zoo’s brand new Kids' Petting Ranch and learn the difference between domestic animals and exotic wildlife. 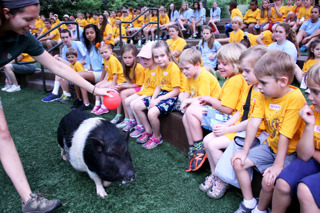 So grab your overalls, straw hat and git ready to go hog wild at camp! This camp is sold out. Click below to join the waitlist. When there’s something strange, in your backyard, who ya gonna call? ZOObusters! 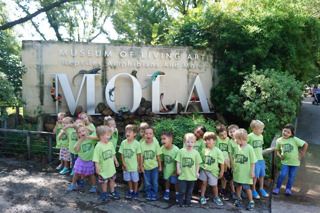 This week we’ll be bustin’ animal myths and legends found around the world. 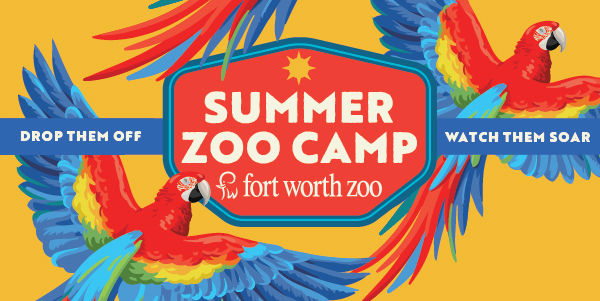 Campers will explore how folklore like the cyclops, unicorn, and even dragon were likely inspired by real life animals found right here at the Fort Worth Zoo! This week campers will go on a Zoo-wide expedition, trekking through places like the rainforests of Indonesia or voyaging through the rivers of North America. Campers will learn about famous explorers and the journeys that lead them to discoveries that made our world even bigger! 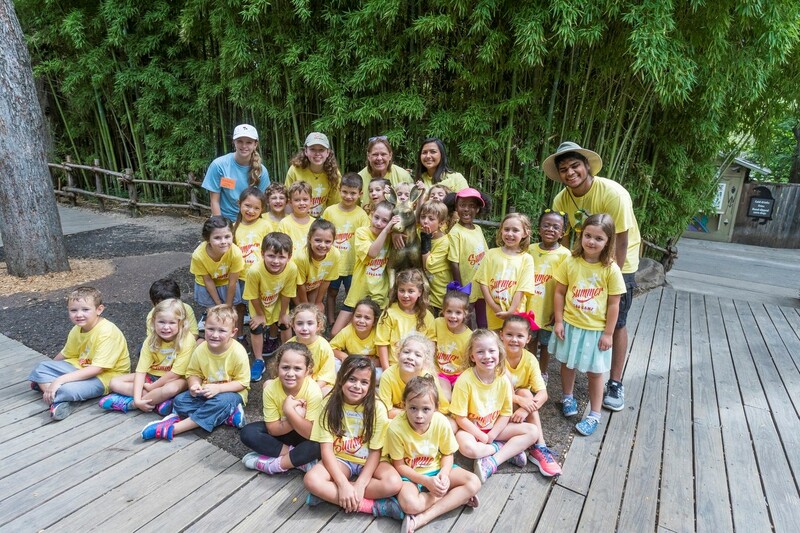 When nature calls … Summer Zoo Camp answers! 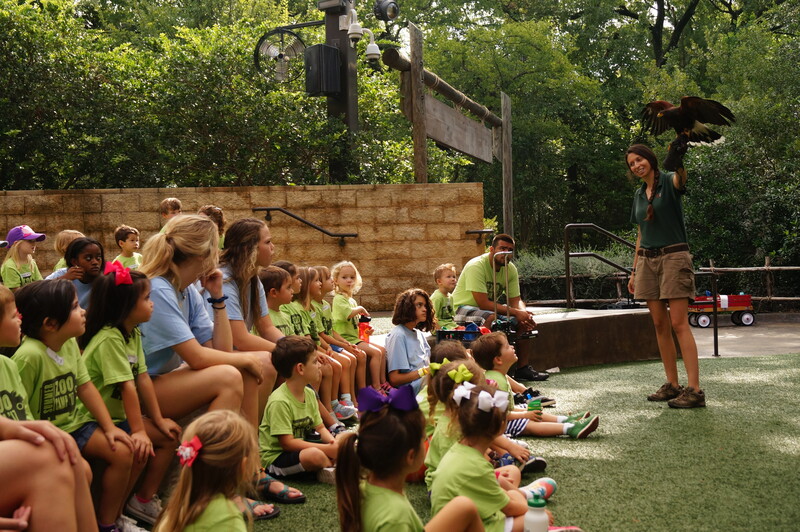 Come listen with us as we put our ears to the sounds of nature and learn what our animals at the Zoo have to say about life in the wild. 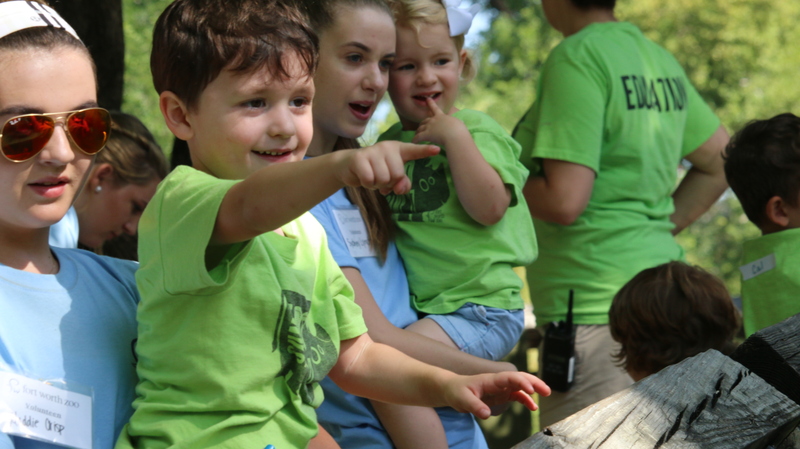 Campers will study animal communication as well as how the sounds in nature can tell a lot about our ecosystem. Come make a splash with us this week as we dive into lessons about what lies in the deep. Campers will cool off as we explore water conservation with hands-on activities that might leave campers dripping with knowledge about all things fishy! It means no worries! 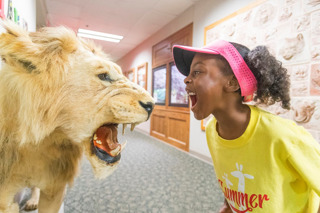 Campers will go on a WILD safari in our newest Savanna exhibit and see a few of the real-life characters from the classic movie while learning about the Circle of Life! We have masters of disguise, silent stalkers, and expert level spies waiting to show you how their ninja-like skills have earned them the titles of top predators and elusive creatures. 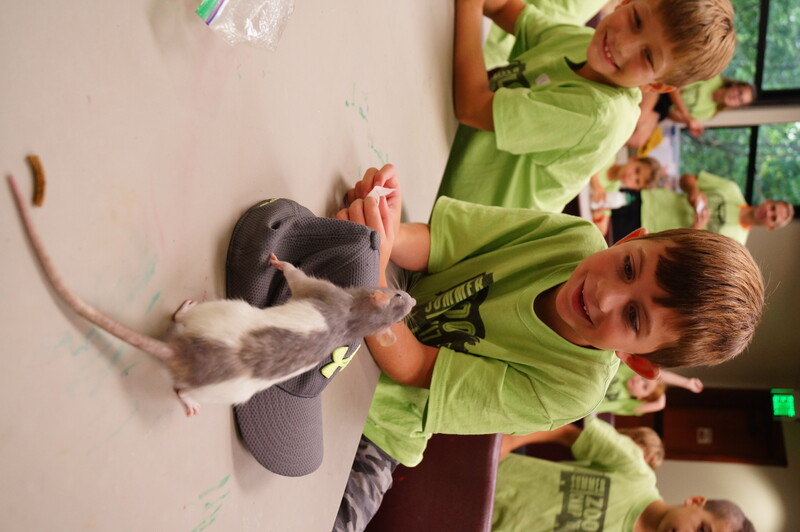 This week campers will learn how wildlife has mastered the art of all things ninja, while also learning some important survival skills of their own! Let your creative side get a little bit wilder! Campers will hike through the Zoo searching for inspiration to create art with a purpose. 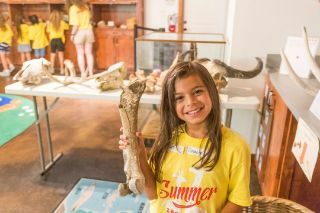 From painting to poetry, every camper will leave with a visual message of conservation and an inspired mind to continue conserving all things wild. 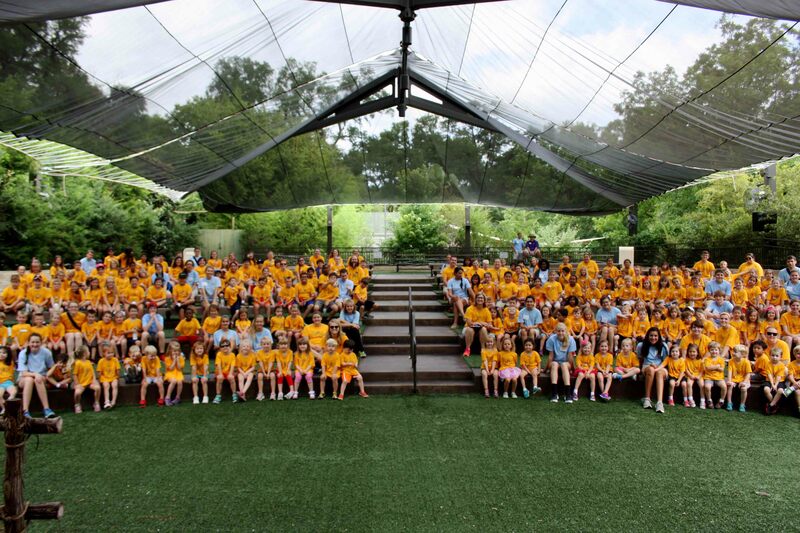 This camp is going to be HUGE! Our “bigs only” camp for full-day campers will feature the Zoo’s biggest residents. Some tip the scales, others raise the roof! 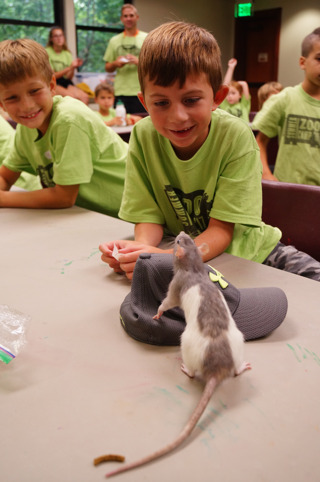 Campers will leave this camp with a whole new perspective of what it means to be BIG. 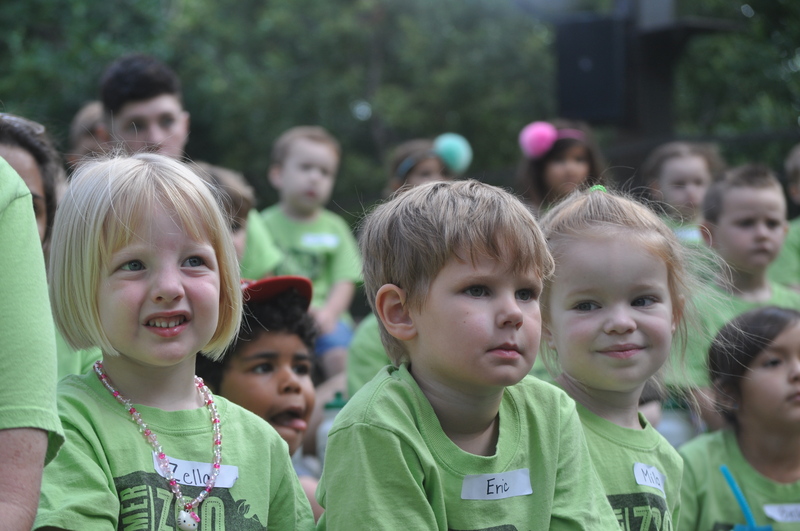 Based on the top selling storybooks, this camp will take your little camper on a journey above and below! 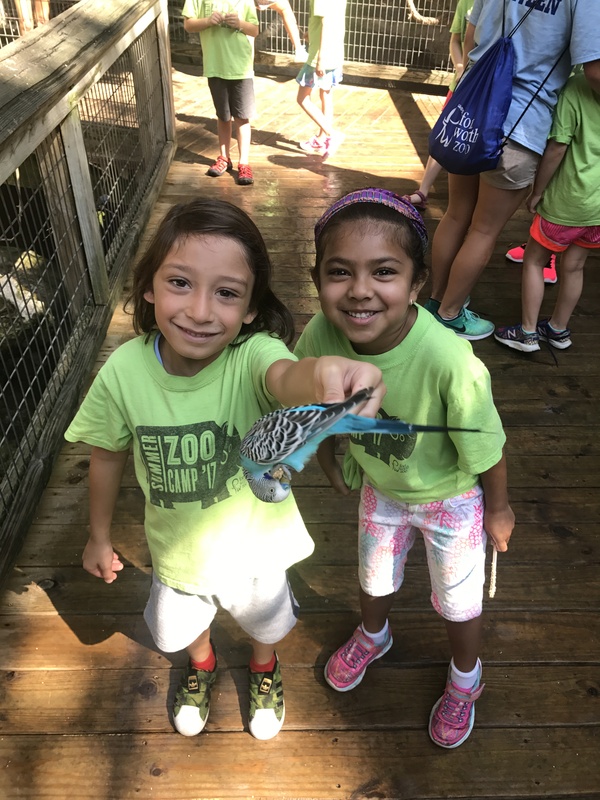 Above the water, below the ground, up in the sky and down on the forest floor campers will explore what life is like in the world for critters over, under, and all around nature! New for Summer 2019! 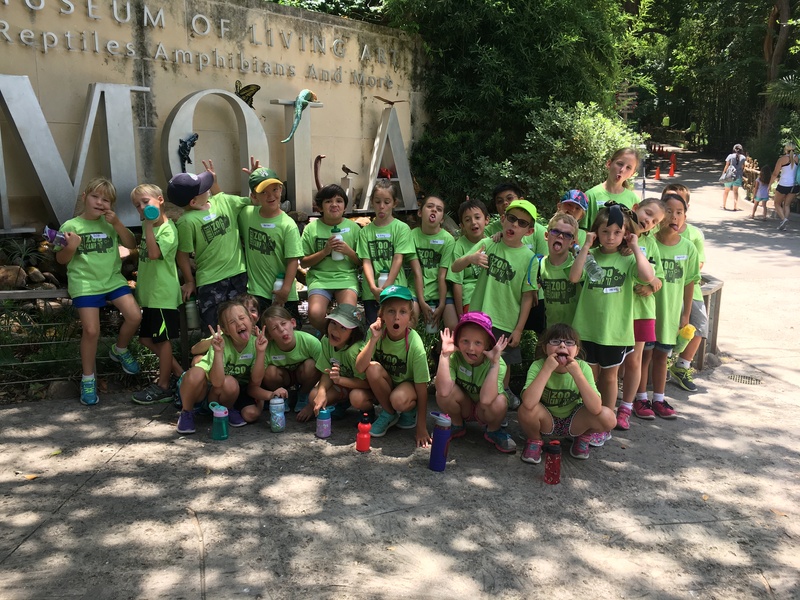 Summer Zoo Camp goes NOCTURNAL! 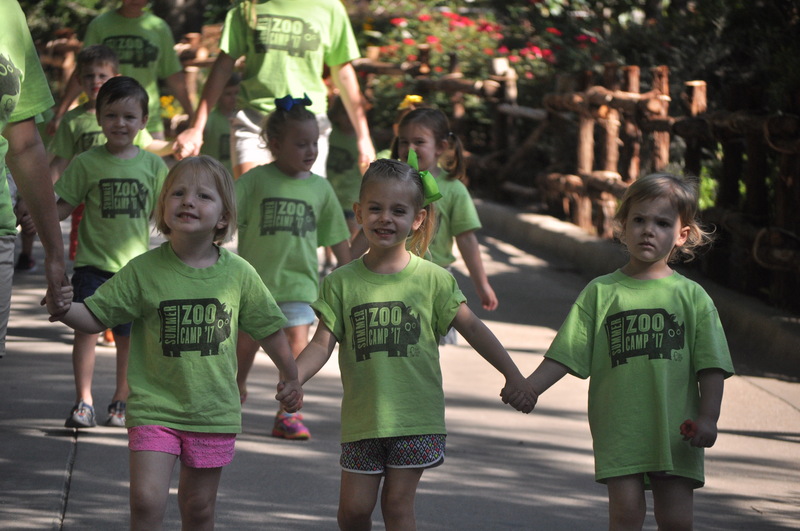 Come see what Zoo camp is like after hours. 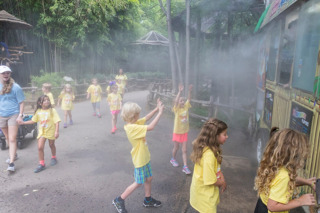 Campers will explore the Zoo under the cover of darkness to discover what really goes bump in the night in this exciting overnight experience. 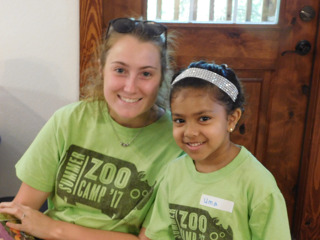 Overnight camp includes dinner, night hike, games and activities, continental breakfast, guided tour through the Zoo and lunch. 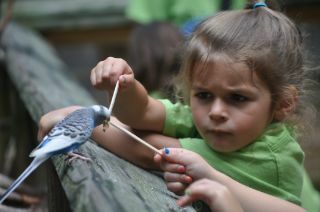 Price: $125 per session; Zoo members receive a 10 percent discount. 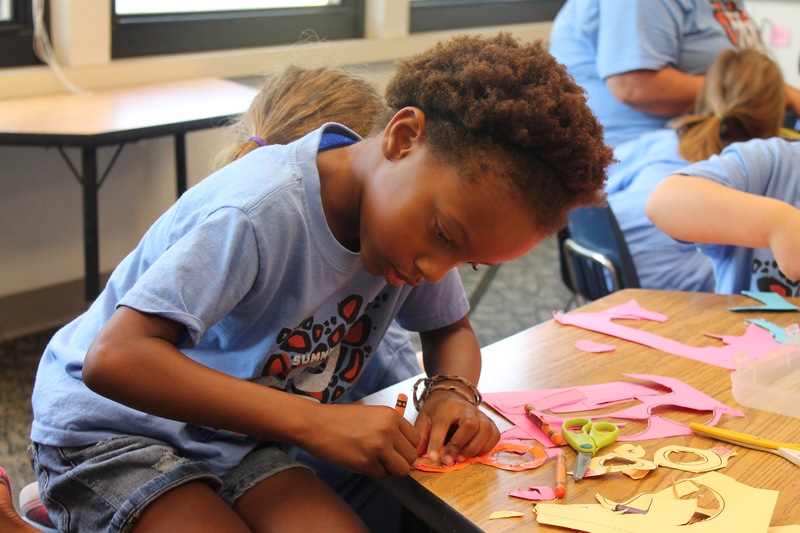 Ages: Children entering 3rd - 6th grade in the 2019 - 2020 school year. In the jungle the quiet jungle, the lion sleeps tonight ... or does he? 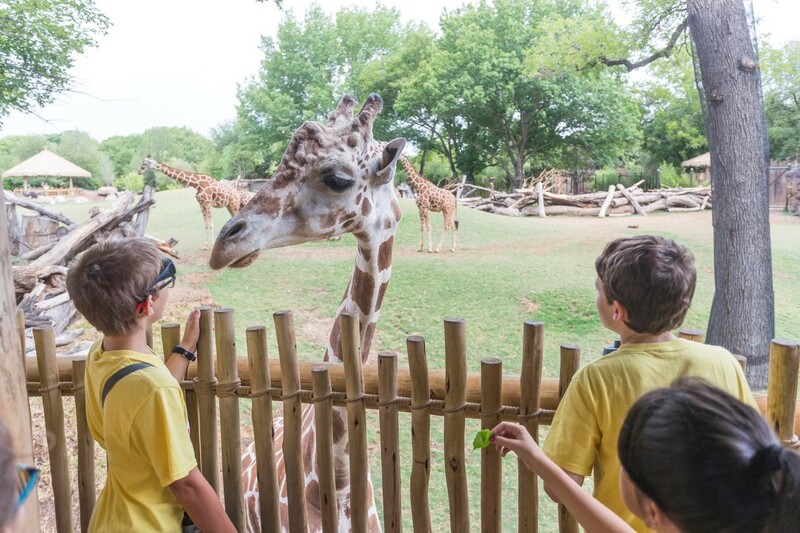 See for yourself what the night life is like here at the Fort Worth Zoo! Under the light of the moon, campers will discover who’s out and about while everyone else is fast asleep and dreaming. Night vision goggles, check! Flashlight, check! High-pitched sound waves that can bounce off tiny flying insects ... check! This overnight will focus on all the incredibly fine-tuned senses nocturnal animals have that allow them to survive in the dark. Wolves howl, crickets chirp, and loons call. The sounds of nature are both beautiful and mysterious, so come learn what all the chatter is about and why those nightly noises are keeping everyone awake! Please read the FAQs before requesting to group campers together (Buddy Request), to change camp weeks or to cancel.